Request free international moving quotes for your International move to Dallas! Comparing quotes is one of the best ways for you to ensure that you are getting the best value for your dollar. 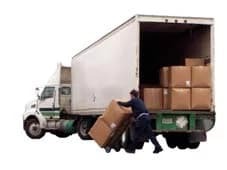 If you are arranging an International move to Dallas, you can easily obtain a number of quotes from international moving companies in a single request. Save yourself time and money, with the obligation free service offered by Intlmovers. Requesting a quote is very easy and will only take you a couple of minutes. You simply need to select the location where you are moving from and moving to from the handy drop down menu, and then complete the simple online form. Your request is sent immediately to a number of international moving companies whose profile meets your requirements. Obtaining quotes is your first step, but then it is up to you to decide which company offers you the best value for your moving budget. Make sure you don’t get distracted by just the price at the bottom of the quote. Compare the different services that are included in this total price so that you can be sure that you are not going to end up paying for any hidden extras later. Get the best value by comparing services and not just price. Complete the easy request form and receive quotes directly for your International move to Dallas. Dallas is located in the northern part of Texas and is the 3th largest city in the state and the 9th largest city in the USA. The city of Dallas has a population of around 1.2 million people. The county of Dallas has a population of nearly 2.6 million people. The city has a historical significance with its growth of cotton and oil industries.Dallas has a key position on interstate routes. The median household income in Dallas is around $40,000. The median house pricing is around $135,000, with detached housing and townhouses closer to $205,000. A one bedroom apartment in the city centre has an average price of around $900 per month, whereas a similar apartment outside of the city center is closer to $700 per month. In general, Dallas is a more expensive city than many other cities within the state of Texas. But this is common for major cities where you also have access to more public facilities and provisions. This also includes access and proximity to restaurants, bars and other sporting and entertainment venues. Dallas has a humid subtropical climate. Winters in Dallas are generally mild, and whilst snow will fall usually for a day or two in winter, the average daily temperatures are around 63°F (17°C). Fronts that arrive also bring cold snaps that drop the daily temperatures to closer to 40°F (4°C). Summer receives warm dry winds which bring high temperatures that can average around 100°F (38°C) during the height of summer. The location of Dallas in the north central Texas area is considered one of the hottest summer locations in the nation. Spring and autumn seasons are considered extremely pleasant. However during spring, the arrival of cool fronts will often bring thunderstorms and hailstorms with them. You need to prepare on this climate for your International move to Dallas. Visa requirements for your International move to Dallas. Organizing the correct visa for your International move to Dallas should be one of your first priorities when you are arranging a visit. People arriving with either a Canadian or Mexican passport have different rules to those from most other countries. Additionally, the USA offers a Visa Waiver Program for passport holders from an approved list of 36 countries. 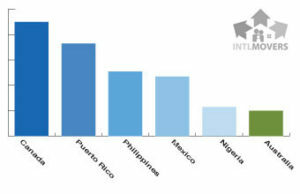 People arriving with valid passports from these countries have the right to stay in the USA for up to 90 days without needing to arrange a visa. It is always recommended that you check with your local authorities or embassy. You can check the exact visa needs that apply to your personal situation. The moving companies on Intlmovers are professionals, who often offer specialization in specific services or fields. If you’re making an International move to Dallas you can request free moving quotes from the best international moving companies from Dallas. Intlmovers will make your International move to Dallas stressless.